The unprecedented blackout during Super Bowl XLVII really put CBS in a tough spot as they were forced to kill time while the league tried to sort out the problem. Their solution to the problem was to go back to the studio crew, who ended up repeating much of what they had already said over and over. Therefore, it was ripe for a parody by Saturday Night Live. Let's go to the videotape. 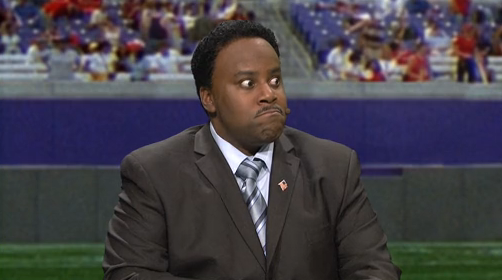 I must say, Kenan Thompson does a darn good James Brown. And the continued plugging of Two Broke Girls was very funny. Could Michael Jordan still play at 50? Who cares?